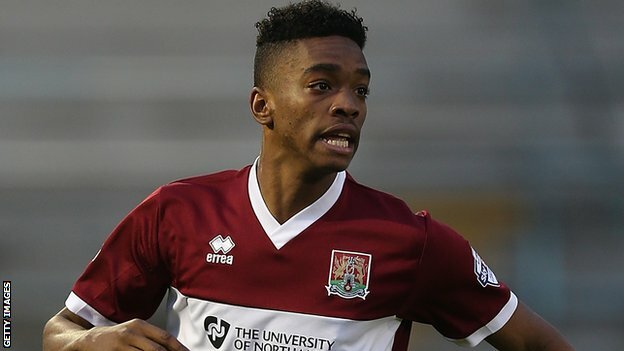 ITV News is reporting that highly rated Northampton Town striker Ivan Toney is today undergoing a medical at Newcastle United. There was news only yesterday that Newcastle were close to signing the 19 year-old striker for around £500K plus add-ons, based on how well he does at Newcastle. Ivan plays for his home town club and he made his first team debut back in November of 2012, in a 3–3 draw with Bradford City at Valley Parade in the FA Cup. He was only 16 years old at the time, and he became the youngest first team player in the Cobblers history, and since then he has made 60 appearances with 13 goals and 6 assists. That’s not bad record at all for one so young (he turned 19 on July 1st), and Newcastle have been favorites to sign the youngster and he has expressed a wish to sign for the Tyneside club. It is expected that Steve McClaren will loan him out for the season, maybe back to Northampton, so he can continue getting first team games and develop as a footballer. That’s what Newcastle did a year ago when we signed Karl Darlow and Jamaal Lascelles, and then loaned them straight back to Nottingham Forest for the season. Toney will be a good signing for Newcastle and one for the future. Next Post Newcastle Announce Chancel Mbemba Signing - "I Am Excited"
Ed is having a mare…..
Aarons already confirmed on his on twitter that it was cramp. See this is the thing with this site. Half the articles are just guesswork by Ed. I mean, yes its a blog. BUT you get half the fans on here believe the total guess Ed writes and then they start thinking its gospel and its going to happen. I mean he owes the people who come on this site alot more than that. He should be issuing us true decent news. Not a fancy article to get clicks! If true, he needs to go straight back out on loan to a Championship club. There’s no point having him rot on the bench behind Cisse and Mitrovic. Dont count this as one of the 6 signing we need. Ed is hardly doing guesswork. His articles are an aggregation of most other NUFC related news online. 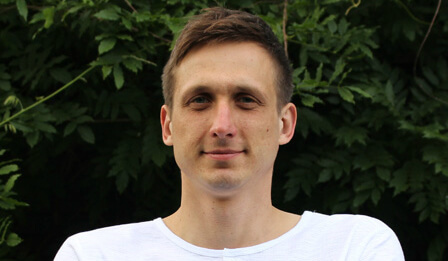 He calls himself a Freelance Injury Data Analyst and is based in Newcastle. Another site has him down as a Premier League Injury Expert. Straight out on loan please. Assuming this is true, it would surely mean Austin is not coming. I know its development squad, but unless he loaned we will now have Mitrovic, Cisse, Perez, Riviere, Gouffran (if he is played in his natural position) and Toney this season. Unless we sell Cisse, Austin is not coming. Know nothing about this lad………………………………but what I do know is that we still need defenders and more than just Mbemba!!!!!! Would hope that the plan is to have this lad for next season after Cisse leaves. From the horses mouth. Why even bother about some twitter or the other sites wanting to increase clicks. Same with the Carroll and Cabaye articles until recently were once a week. Its all guesswork and that statement is not a guess, its a FACT! Is anyone else seriously worried at our lack of urgency with regards to a top CB???? tooney is one of those lads who has all the attributes to be a great striker ! its not too likely its going to happen though as he just doesnt have the desire and talent imo but with the new coaching set up esp its worth the risk for the price ! If he is not sent on loan, then he simply replaces Armstrong. We have far too many strikers given we look to be playing a lone strike. Austin will not come unless Cisse goes out. Not inlcuding further youth or Gouffran but for a lone striker its overkill. Cannot see Cisse, Mitrovic and Perez happy sitting on the bench, or any of them replaced with Austin. I mean some of our fans live in LALA land. Its not FM, this is real life, its Newcastle not Manchester United or Chelsea, these players will not sit on our bench. I would be quite suprised if we don’t finish in the top 10. On one hand it would be good if there were more truthful proper journalism going on. On the other hand, without blogs like Ed’s there’d be about 10% of NUFC ‘news’ to read if it wasnt for them. Cisse …is his knee sorted and 30 now. Perez shouldn’t bear the responsibility and is more likely to play as a wide attacking player. But yes we need defenders then get rid of the dross. Still doesn’t make what Ed does guesswork though does it? If he was only putting out official and factual articles this blog would be awful. We would have had less than 20 since the start of preseason. People always complain about the number of articles, but last time Ed didn’t post anything for a while everyone was complaining about the lack of articles. He can’t win! I hope that behind the scenes we are ripping up trees to try and rectify the obvious defensive issues we have, as if I knew we were going to go into the new season with only Mbemba coming in, I would be seriously worried as all the other work could count for nothing. Perez should be playing wide of Mitrovic this season. Mitrovic with Aarons and Perez either side gives pace, skill, work rate, goals and a bit of physicality. I only really see Cisse and Mitrovic as the 2 proper central strikers in the squad. Think Toney would be best suited to 3 months with the development squad before a loan out in January? Surely the coaches need to assess him and what level hes actual at and where he needs to improve before sending him to the best place for that? i would be scared if we was playing a cb pairing close to our first choice and it was failing as much as we are in the friendly’s tbh. fact is i cant see us playing satka/williamson which are both huge contributions to the goals we conceeded but i do worry about saylor/lescalles who i do think will be used but really aint done very well ! yes they have great moments but not nearly enough for the prem imo. once we play colo/mbemba or one of those with lecalles or saylor then it will start to look like a proper team imo then i’ll start to worry if we leak like we are doing. Can anyone honestly see a CB coming in to add another body to that list. You can moan all you want about how this person or that person is not good enough. The fact is these guys are under contract and no one else wants them. SO that said unless one leaves we simply have to accept it would be good enough for 1 season, or push comes to shove and we have an injury crisis 5 month until January window to buy. People lets be realistic, Colo is good enough. Taylor when fit is good enough. Dummett and Lascelles are potentially good enough. Williamson is awful but really he can do a job, hes not amazing but he can do it and fill the hole. People need to accept until next season when Colo, Williamson and Taylors contracts end we simply will not add more to that list. ACCEPT IT! Otherwise you face disappointment! Not defending so deep and retaining possession should improve the goals conceded. Add in Mbemba and hopefully a leader of the line and we should be far better. A leader alone would improve our defence just by organising it better. no jamesy mate, am also sick to death of hearing no defenders mentioned. I think this kid will either player reserve/youth football for us or be sent out on loan. If, we move for Austin, then we will see either Cisse or Rivière being shipped out. We are desperately short of a leader and we have suffered for not having one for a long time, but, the likes of Willo, Colo and Saylor are simply not good enough anymore and the addition of one player won’t change things that much, nor will the coaching imo as the players we have are inherently bad. why wouldn’t Toney have the desire? what has indicated that in any way? As for talent for a big lad he has some sublime skills. The three centre halves were made to look far worse because we had to defend far more and we constantly retreated to our own box. Saylor and Colo would hold there own at a number of Prem teams when fit. Make any defender spend 70% of the game defending the edge of his own box and they will ship goals. By pressing higher and retaining possession it is a safe bet the defence will improve. A front 3 of perez, mitro and aarons is potentially very exciting. I’d go 433 at the moment personally. I think we need Janmaat and Haidara to provide width for the side as fullbacks. With one of the midfield providing cover depending upon which flank we are attacking down. If we are really up against it both are capable of dropping deeper to help the midfield as well. Who would your 3 at the back be? Playing a higher line and possession football will help, but we all know that when our back are against the wall, what we have is simply not good enough, not to mention the attitude of our captain has been disgusting to say the least. a fair few games i have seen him in he looks like he’s not interested and as for talent he reminds me of sammy ! he does have talent maybe that was a bad choice of words he just seems a step short of the talent it needs to get a second ahead of others. Ed we need a poll on where we think Newcastle will finish. I think we need a leader, but I doubt we will get it. So I think we will have to satisfy ourselves with improvements through the tactics and style of play, unless someone does come in and buy Colo or Willo. Being linked with so many we don’t need, but no guarantee we are actually interested!